America's 1st Source for Fence & Gate Hardware. Shop our selection of Fence and Gate Hardware products. 1st Source Products has a great selection of Fence and Gate Hardware. We work hard to provide our customers with personal service that will make your experience with us worry-free. Our products offer safety, security, value and beauty to your property. 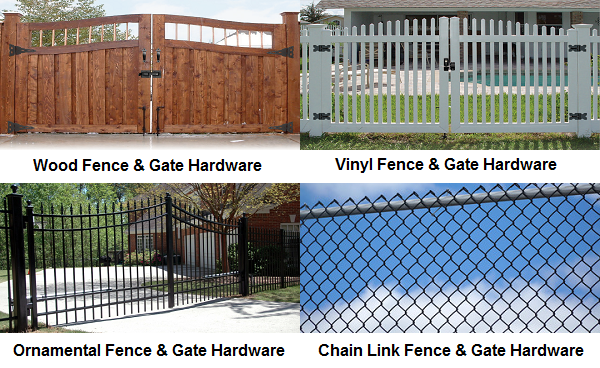 Browse our website to see the many quality Fence and Gate Hardware products we offer. If you have any questions you would like to discuss with us, please give us a call (877) 338-9403. Our friendly staff will be more than happy to help you. Quantitative pricing to professional Fence Contractors and Installers. What Fence and Gate Hardware do you need for your project? Wood Fence and Gate Hardware. Vinyl Fence and Gate Hardware. Ornamental Fence and Gate Hardware. Chain Link Fence and Gate Hardware.